We are in full Back to School mode now that my two oldest kids started school earlier this week. 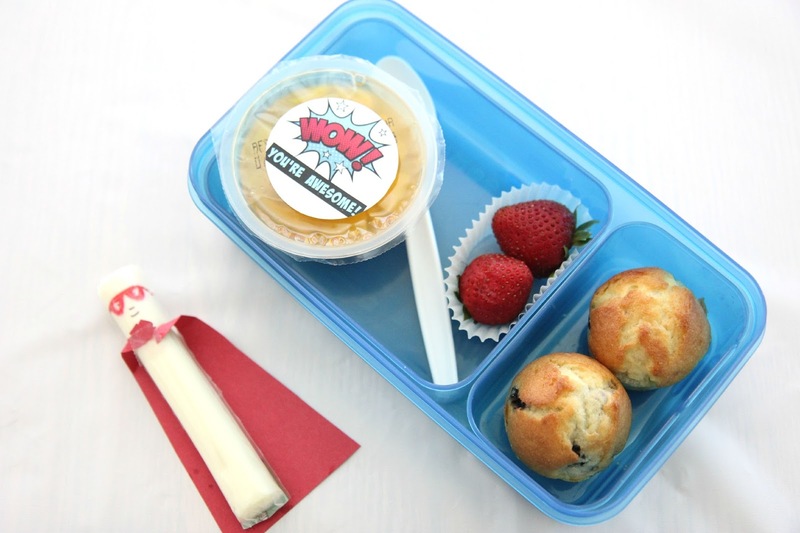 We kicked off the school year with a super hero themed First Day of School Book Breakfast. With back to school comes the dreaded daily grind of making snacks and lunches that my kids will actually eat. This year my goal is to pack their lunchboxes with more nutritious options and a little bit more variety. I think my son ate the same type of sandwich every day almost all last year. We started off the new school year by picking up some new lunchboxes and ice packs and grabbing a few favorite SUPER hero snacks. One of the lunch items that the kids are especially excited about are the new Del Monte® Fusions. 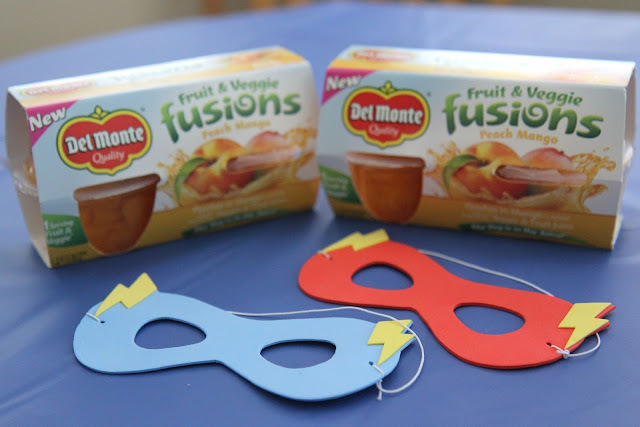 Del Monte® Fusions are perfect for super kids! They include yummy fruit served in a delicious, lightly sweetened veggie and fruit juice. 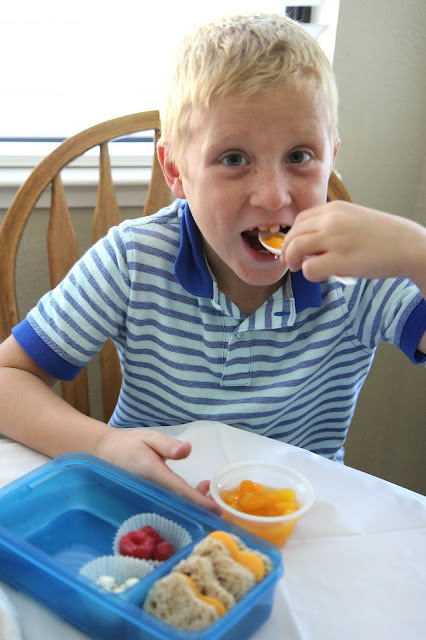 My kids love the taste and with one combined serving of fruit and veggies, I do too! I also love that Fusions have no high fructose corn syrup and no artificial colors or flavors. For our SUPER lunches this year I am trying to keep things simple and easy and include at least one protein, veggie, fruit, and grain. 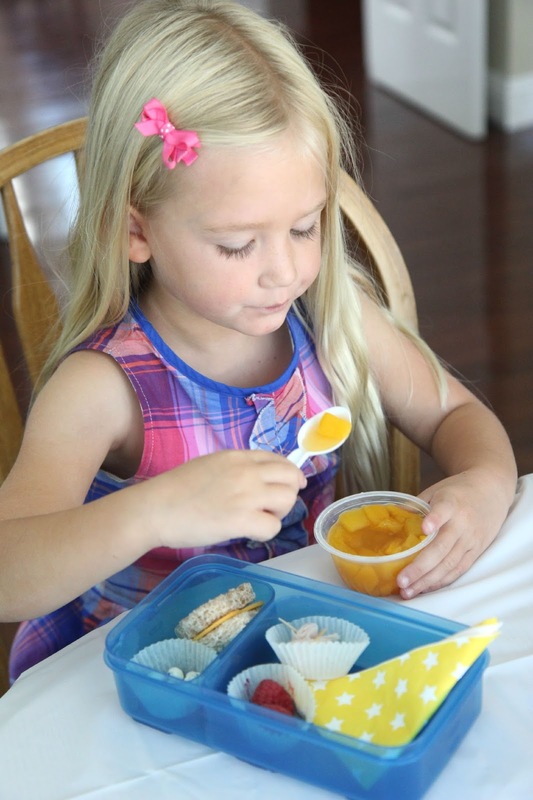 With how little time my kids have to eat at school serving sizes need to be small, delicious, and packed with a nutritious Fruit & Veggie Fusions Fruit Cup. I hate food waste so I also try not to put too much in lunch boxes. 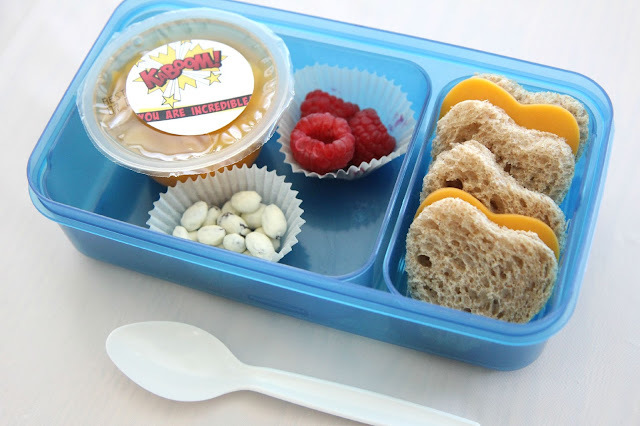 My kids aren't huge eaters so if yours are you might want to double these lunches. 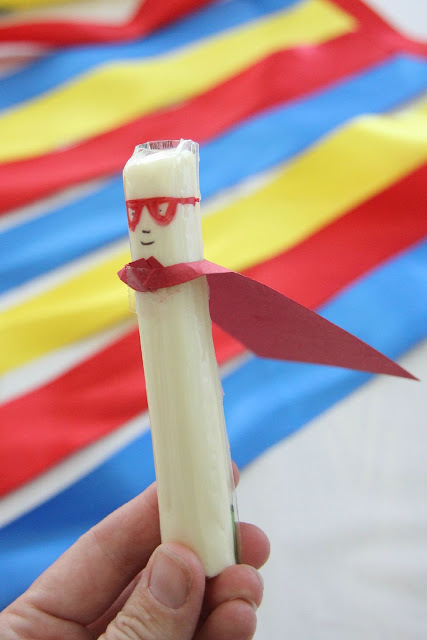 We made our cheese stick super hero by just cutting a cape out of red construction paper and taping it on and adding a Sharpie mask. He was a hit! 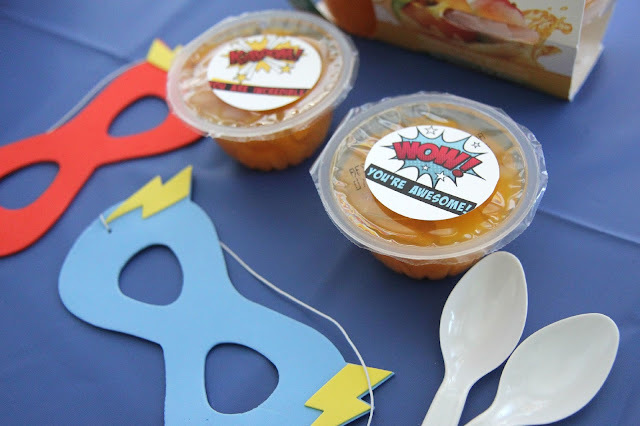 Keeping with our SUPER HERO theme of the week I made some simple labels to stick on our Fruit & Veggie Fusions Fruit Cup that served as little notes to the kids. I also sometimes grab a sharpie and draw an extra picture or write an extra few things on the plastic. You can download my super hero printable label sheets below and use a 2" punch to cut them out. It has been amazing how much more my kids will eat at lunchtime now that we have fused a bit more fun (and nutrition) into our lunches. I've even tried out some of these super lunches at home with my toddler versus our usual pb & j sandwich. He was a big fan! My kiddos are outside running around or creating and crafting most of the day, so having a lunch that is nourishing helps keep them energized all day long and avoids the late afternoon meltdowns. I usually go to the grocery store once a week to grab food for lunches. We typically buy a few items to have each week and use them for a week or two in a variety of ways and then we buy other things. For example, the kids might have pretzels or crackers more than once in the week and then the following week have wraps with tortillas a few times. I don't have time to make every lunch novel or exciting or unique. Occasionally I'll grab cookie cutters to make shapes when I am feeling really adventurous! Our schools ask that we only bring healthy snacks, so it is rare that I will send in fruit snacks or cookies... but sometimes it does happen on special occasions. Adding our favorite items like Del Monte® Fusions makes sending treats really unnecessary since the natural sweetness of the fruit & veg has my kiddos licking their cups clean. Literally. 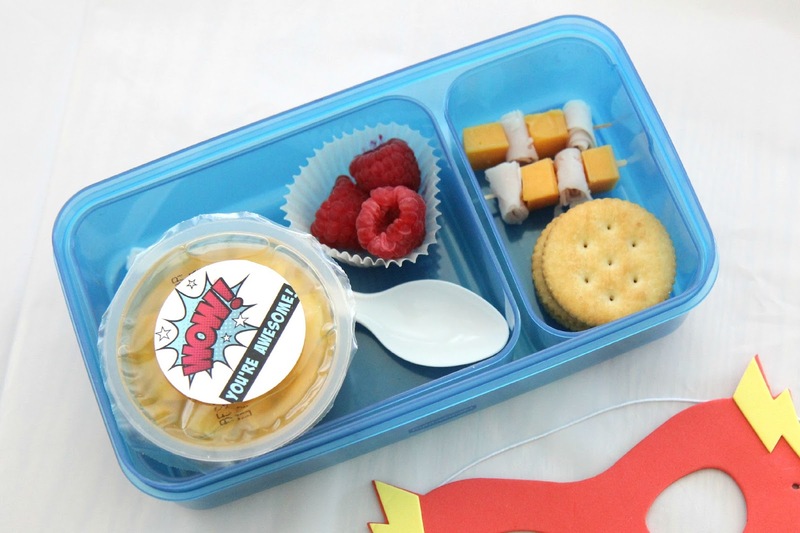 Also, don't forget to check out my Back to School Super Lunch Ideas Pinterest Board for more super cool lunch ideas. 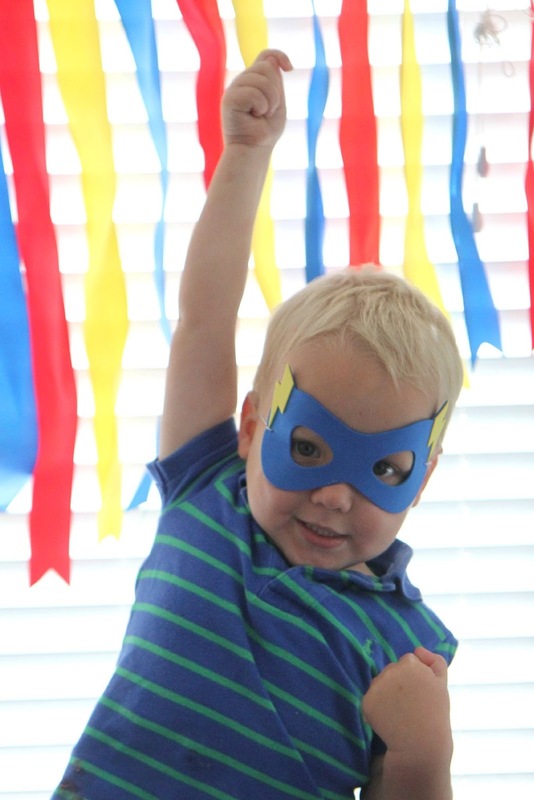 How do your kiddos unleash their super powers? Mine are talented in lightsaber dueling and cleaning up disasters (without too much complaining). Want to share how your kid is super? Del Monte® has an awesome sweepstakes you don’t want to miss. 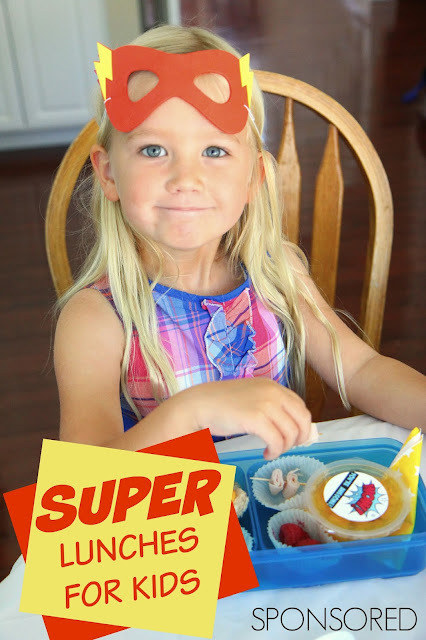 Follow @DelMonte on instagram and/or twitter and share a photo or video of your kid’s super moment with #SharetheSuper and #Sweepstakes. Weekly winners get a branded backpack with new Del Monte® Fusions inside. Plus, one grand prize winner will be awarded $2,000 at the end of the campaign!! Learn more at www.sharethesuper.com and make sure to get your $1 OFF coupon! We are also giving away a $50 grocery store gift-card to one lucky winner who enters the Sweepstakes.